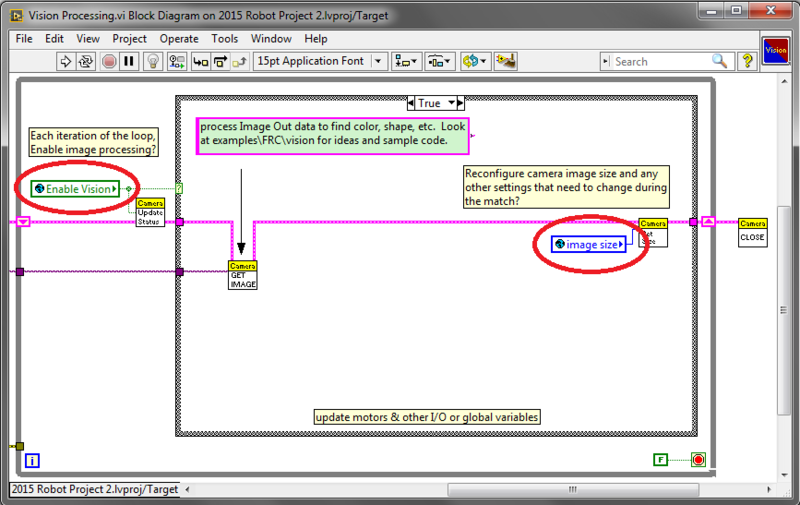 This example serves as an introduction to local and global variables, how they are used in the default LabVIEW for FRC Robot Project, and how you might want to use them in your project. 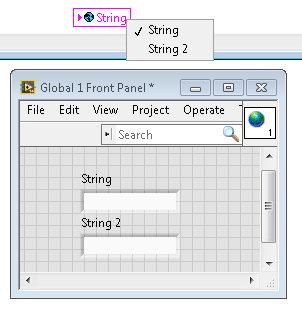 Local variables and global variables may be used to transfer data between locations within the same VI (local variables) or within different VI’s (global variables), breaking the conventional Data Flow Paradigm for which LabVIEW is famous. 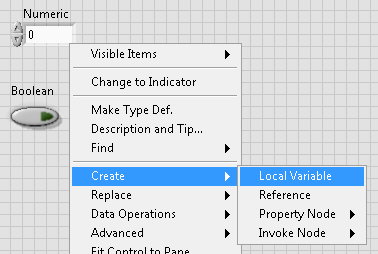 Thus, they may be useful when, for whatever reason, you cannot wire the value directly to the node to another. Note: One possible reason may be that you need to pass data between consecutive loop iterations; Miro_T covered this in this post. 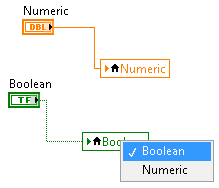 It should also be noted that the feedback node in LabVIEW may be used as an equivalent to the shift register, although that may be a topic for another day! Note: Be very careful to avoid race conditions when using local and global variables! Essentially, make sure that you are not accidentally writing to the same variable in multiple locations without a way to know to which location it was last written. For a more thorough explanation, see this help document. 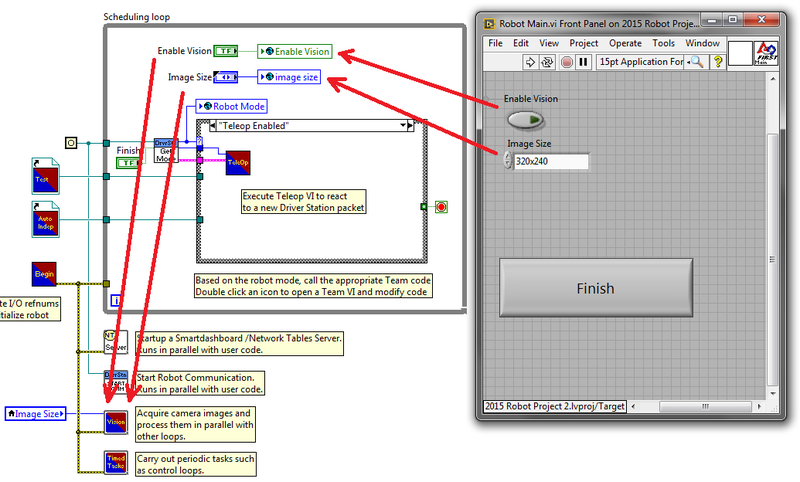 This allows the user, when deploying to Robot Main VI from the LabVIEW Development Environment, to enable/disable vision and change the image size from Robot Main’s Front Panel. How Can You Use Them in Your Project?